Say this for Democrats: They can be very effective — at least, when it comes to misleading Americans on taxes. That’s clear from the wide gap between the number of people who got tax cuts last year and the far smaller number who think they did. As even The New York Times (yes, the anti-Trump Times) noted, Tax Policy Center figures show 65 percent of taxpayers got tax cuts last year, thanks to the 2017 Trump tax reforms; just 6 percent had to pay more. Yet in early April, SurveyMonkey found only 40 percent of Americans believed they saw savings, and only 20 percent felt sure they had. An NBC/Wall Street Journal poll last month found even fewer, just 17 percent, thought their families would pay less. Why are so many people under the wrong impression about their own taxes? As the Times put it, the gap “appears to flow from a sustained — and misleading — effort by liberal opponents of the law to brand [Trump’s tax reform] as a broad middle-class tax increase.” Give the paper credit for honesty. Here in New York, as E.J. McMahon noted on these pages recently, Gov. Andrew Cuomo never stopped railing about the Trump tax cuts. 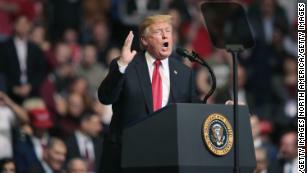 He called them “an all-out direct attack on New York’s future,” suggesting they would effectively raise levies on middle-class families by as much as 25 percent. Turns out “the vast majority” of New Yorkers actually “paid lower taxes in 2018 then they would have under the previous federal law,” wrote McMahon. Even Cuomo himself paid less: just $39,138 on his $211,289 income (18.5 percent), versus $41,765 on his slightly higher $212,776 income (19.6 percent) in 2017. Add in the fact that the economy is strong — the job market’s hotter than it has been in years — and it’s hard to understate the benefits of the reforms passed by Republicans and signed by Trump. Republicans just need to figure out how to overcome the deceitful messaging by the other side. The Governor, the Mayor, the Police Department, the Police Union and many more aren't too happy about this Democrat's reform ideas. The new agenda for the new district attorney is, he says, aimed at ending "mass incarceration" and jail time for "technical" violations which aren't a threat to public safety. That includes a lot drug offenses, and although his letter informing the county residents of his overall plan was only published a week ago, he's already dismissed more than 1,000 drug possession cases since taking office this year. A previously little-known group called the National Thowheed Jamath (NTJ) is being accused of having carried out the Easter Sunday attacks in Sri Lanka. However, neither NTJ, nor any other group, has admitted carrying out the wave of bombings which tore through the island, killing almost 300 people. But still, the allegation raises the question, who are NTJ? While still relatively unknown, the SLTJ is a bit more established. Their secretary, Abdul Razik, was arrested in 2016 for inciting hatred against Buddhists. He later issued an apology. But they are an extremist fringe group within a small religious minority - only 9.7% of Sri Lanka's population of about 21 million are Muslim. Their social media presence is also sparse. Although they have a Facebook page, it is only updated every few weeks or so. Their Twitter page hasn't been updated since March 2018. The group's website is also offline - although it's not clear if it was taken down before or after Sunday's attacks. Government spokesman Rajitha Senaratne told reporters in Colombo on Monday that there had been "several warnings from foreign intelligence agencies about the impending attacks". This isn't the only claim that officials had been alerted. Sri Lankan telecommunications minister, Harin Fernando, tweeted a document that was reportedly sent by Sri Lanka's police chief earlier this month. In that, the NTJ are explicitly named - as well as a warning that the group was planning to attack churches and the Indian High Commission. The document also names Mohamed Zahran, the group's leader. Alan Keenan, Sri Lanka director for the International Crisis Group, also told BBC 5Live that NTJ "appears to be the same group" as those behind the Mawanella vandalism. He added: "The police eventually arrested a group of young men who were said to have been the students of a preacher who's named in the intelligence document that came out yesterday [Sunday]." But officials suspect that the group wasn't acting alone. "We don't see that only a small organisation in this country can do all that," Mr Senaratne said. "We are now investigating the international support for them, and their other links, how they produced the suicide bombers here, and how they produced bombs like this." And while not naming the NTJ directly, the Sri Lankan president's office echoed this belief that whichever group was behind the attacks had help from abroad. "The intelligence sections have reported that there are international terror groups which are behind the local terrorists," a statement from President Maithripala Sirisena said. "International assistance will be sought to combat them." Despite the oceans of pixels, buckets of ink, and hours of TV and radio coverage respecting the Mueller report, there are two important things underplayed or ignored: the ubiquitous nature of Russian interference from 2014 on, which Obama ignored, and the real target of the witch hunt -- General Michael Flynn (and why). To get there, let’s first quickly review the pre- and post- report major media coverage. What's worse: The U.S. soldiers were sitting on the Texas-side of the border when the incident occurred. "On April 13, 2019, at approximately 2 p.m. CDT, five to six Mexican military personnel questioned two U.S. Army soldiers who were conducting border support operations in an unmarked [Customs and Border Protection] vehicle near the southwest border in the vicinity of Clint, Texas," the military command said. "After a brief discussion between the soldiers from the two nations, the Mexican military members departed the area. The U.S. soldiers immediately contacted CBP, who responded quickly. Throughout the incident, the U.S. soldiers followed all established procedures and protocols," John Cornelio, deputy director of public affairs for NORAD and U.S. Northern Command, told Newsweek. The Mexican military personnel moved "tactically fast," preventing the U.S. soldiers from radioing for backup. To make matters worse, both the uniforms of the Mexican soldiers and their truck were not marked with "identifiable seals or symbols." After the incident, Customs and Border Protection agents arrived at the scene, along with members from the soldiers' regiment. According to U.S. Northern Command: "An inquiry by CBP and DOD revealed that the Mexican military members believed that the US Army soldiers were south of the border." "Though they were south of the border fence, U.S. soldiers remained in U.S. territory, north of the actual border," the statement explained. 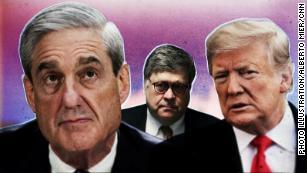 (CNN) The partisan warfare over the Mueller report will rage, but one thing cannot be denied: Former President Barack Obama looks just plain bad. On his watch, the Russians meddled in our democracy while his administration did nothing about it. But don't just take my word for it that Obama failed. Congressman Adam Schiff, who disgraced himself in this process by claiming collusion when Mueller found that none exists, once said that "the Obama administration should have done a lot more." The Washington Post reported that a senior Obama administration official said they "sort of choked" in failing to stop the Russian government's brazen activities. And Obama's ambassador to Russia, Michael McFaul, said, "The punishment did not fit the crime" about the weak sanctions rolled out after the 2016 election. A legitimate question Republicans are asking is whether the potential "collusion" narrative was invented to cover up the Obama administration's failures. Two years have been spent fomenting the idea that Russia only interfered because it had a willing, colluding partner: Trump. Now that Mueller has popped that balloon, we must ask why this collusion narrative was invented in the first place. Given Obama's record on Russia, one operating theory is that his people needed a smokescreen to obscure just how wrong they were. They've blamed Trump. They've even blamed Mitch McConnell, in some twisted attempt to deflect blame to another branch of government. Joe Biden once claimed McConnellrefused to sign a letter condemning the Russians during the 2016 election. But McConnell's office counters that the White House asked him to sign a letter urging state electors to accept federal help in securing local elections -- and he did. You can read it here. I guess if I had failed to stop Russia from marching into Crimea, making a mess in Syria, and hacking our democracy I'd be looking to blame someone else, too. But the Mueller report makes it clear that the Russian interference failure was Obama's alone. He was the commander-in-chief when all of this happened. In 2010, he and Eric Holder, his Attorney General, declined to prosecute Julian Assange, who then went on to help Russia hack the Democratic National Committee's emails in 2016. He arguably chose to prioritize his relationship with Putin vis-à-vis Iran over pushing back against Russian election interference that had been going on for at least two years. If you consider Russian election interference a crisis for our democracy, then you cannot read the Mueller report, adding it to the available public evidence, and conclude anything other than Barack Obama spectacularly failed America. Subsequent investigations of this matter should explore how and why Obama's White House failed, and whether they invented the collusion narrative to cover up those failures. The left's practice of "idea laundering"...the Groucho Marx joke about who are you going to believe me or your lying eyes. Last month I wrote about an extraordinary news special produced by station KOMO in Seattle. Provocatively titled “Seattle is Dying” the hour-long special argued that the homeless problem in the city was a disaster for residents thanks to policies that let people with addictions or mental problems live in a law-free zone on the city’s streets. Reporter Eric Johnson who wrote and narrated the special posted it on his Facebook page and it became a kind of community gathering space for thousands of Seattle residents who reacted strongly to what was in the piece. Most of those reactions were positive, i.e. agreeing that the city seemed to be experiencing a decline as a result of bad policies. I collected a couple dozen of the responses here. Earlier this month, leaked documents revealed that a group of prominent nonprofits—the Bill & Melinda Gates Foundation, the Campion Advocacy Fund, the Raikes Foundation, and the Ballmer Group—hired a PR firm, Pyramid Communications, to conduct polling, create messaging, and disseminate the resulting content through a network of silent partners in academia, the press, government, and the nonprofit sector. The campaign, #SeattleForAll, is a case study in what writer James Lindsay calls “idea laundering”—creating misinformation and legitimizing it as objective truth through repetition in sympathetic media. There have been a lot of viral impersonations of Rep. Alexandria Ocasio-Cortez on social media, but none have been quite this hilarious and adorable. 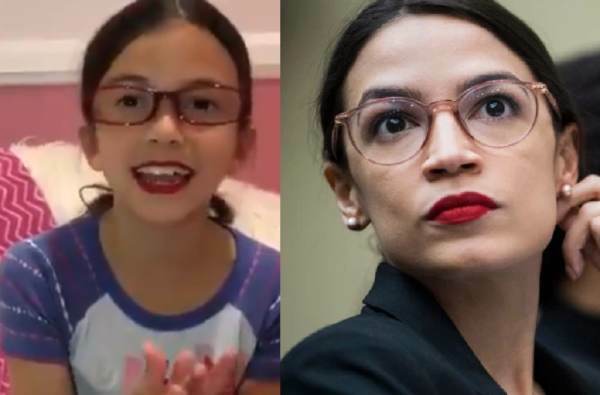 Wearing glasses and bright red lipstick, a young girl brilliantly skewered the freshmen congresswoman in a way that put the current cast of Saturday Night Live to shame. “Like, I’m Alexandria Ocasio-Cortez, aka AOC, and like, I want to talk about like, climate change, because like, there’s no doubt cow farts are making the climate change,” the girl’s rant begins. “Like, in July the climate was 96 degrees and in February the climate was 36 degrees. O.M.G. like, that’s a huge change in the climate in only four months,” the girl continues after counting the months on her fingers. Is the Dental Cartel taking us to the (teeth) cleaners? San Francisco where dogs step in human feces.